This Homemade Chocolate Pudding is an easy to make, better for you, homemade version of the classic rich, silky, chocolaty treat. Our family experienced a milestone this year. Our sweet girl had her very first day of kindergarten. Being her Momma, I was in charge of packing her very first school lunch. First, I let her pick out a brand new lunchbox and water bottle. Then, I made sure I had plenty of fresh fruit, her favorite sandwich stuff, and a sweet treat to make her smile. That sweet treat was chocolate pudding. We eat sweets in moderation in our house, so I knew she would be super excited to open her lunchbox and see that I had included it. I think I was just as excited about her first day lunch as she was. I have been trying to make more and more things homemade and I'm not sure why making homemade pudding wasn't on my radar for that first day of school treat. It actually wasn't until I was asked if I'd like to try Silk Cashewmilk that it dawned on me that I could even make pudding without a box of mix. I was brainstorming all of the ways I'd be able to incorporate Silk Cashewmilk into our meals when the pudding idea struck me. I knew the creamy nut milk would be perfect for pudding! Have you tried Silk Cashewmilk yet? It's new! Silk Cashewmilk is made with the special creaminess of cashews, which brings an irresistibly creamy taste that is perfect over cereal, in recipes or straight from the carton. I've been really intrigued by nut milks lately, so I was really looking forward to trying it. It was so good and true to its claim...irresistibly creamy with fewer calories than skim milk and the perfect match between tasty and guilt-free. Win-win! 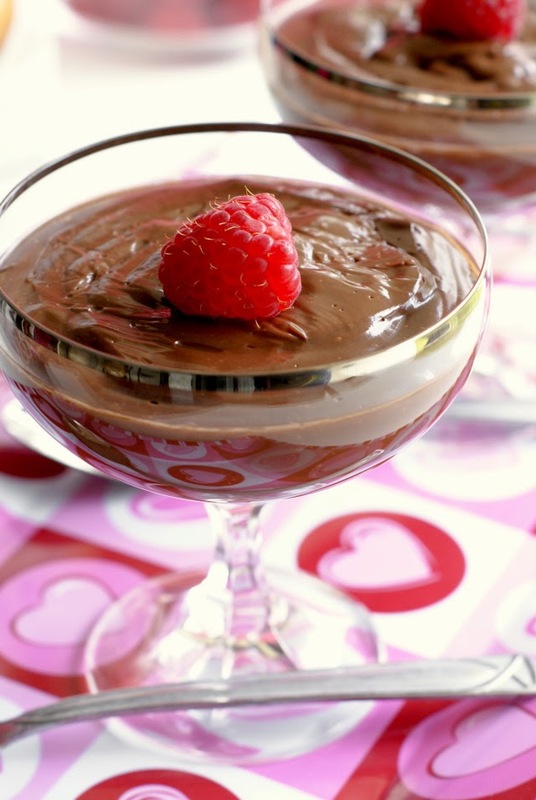 This pudding was perfectly delish and perfect for a sweet treat in my girl's lunchbox. When I take the time to make homemade treats with ingredients like Silk Cashewmilk, it really makes me feel good about myself as a Mom. When something as irresistible as Silk Cashewmilk helps you be your best self, you know you have found your perfect match! 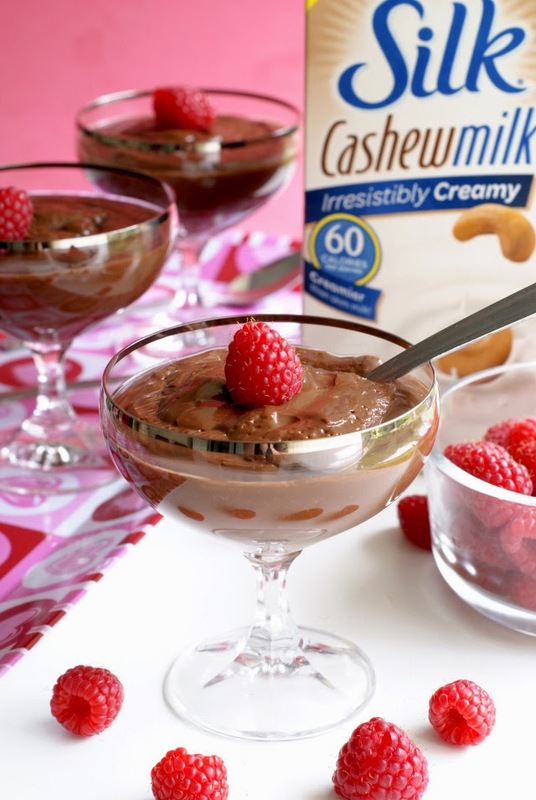 I hope you enjoy this creamy silky pudding and love the cashewmilk as much as I did! Combine the sugar, cocoa powder, cornstarch, and salt in a medium saucepan. Slowly whisk in the cashew milk. Heat over medium high heat. Whisk constantly until thickened. Remove from the heat and stir in the vanilla extract. Spoon the pudding into individual serving cups and cover each one with plastic wrap so the wrap is touching the pudding. Cool completely in the refrigerator before serving. You can use up to 1/2 cup (8 tbsps) of sugar depending how sweet you like your pudding. Just taste it to see if it's to your liking before removing from the stove and add more if you want more! Silk Cashewmilk is lactose-free, dairy-free, cholesterol-free, has no high-fructose corn syrup, and has no artificial colors, flavors or preservatives! Love it! Use hashtag #Silkbloom to join the conversation! No, you can use any milk, dairy or dairy-free. But the Cashewmilk is delish! Looks good. I need to know what the carbs and calories are. on a diet!!! I just made this and added 1 teaspoon of butter and a dash of salt.. It taste rich creamy and wonderful!